Last week submissions opened on the Government’s tax review. We always knew it was going to be a sham review, but by appointing Sir Michael Cullen as the Tax Working Group’s Chairman, there can be no pretence that the review is independent. Sir Michael was a key member of Labour’s coalition negotiating team and the former Labour Finance Minister, who notoriously called the Leader of the Opposition a “rich prick”, in Parliament. The other members of the Working Group are Professor Craig Elliffe of Auckland University, Joanne Hodge a former tax partner at Bell Gully, Kirk Hope the Chief Executive of Business New Zealand, Nick Malarao a senior partner at Meredith Connell, Geof Nightingale a partner at PwC New Zealand, Robin Oliver the former Deputy Commissioner at Inland Revenue, Hinerangi Raumati the Chair of Parininihi ki Waitotara, Michelle Redington the Head of Group Taxation and Insurance at Air New Zealand, Bill Rosenberg the Director of Policy at the Council of Trade Unions, and Marjan Van Den Belt the Assistant Vice Chancellor (Sustainability) at Victoria University. In reality, the tax review is a twelve month long $4 million political charade designed to deliver the capital gains tax policy that Labour botched during the election campaign. But we can refresh his memory. Going into the 2017 election, the former Labour leader, Andrew Little, wanted to downplay their controversial capital gains tax policy on the basis that it had been pushed hard at the 2011 and 2014 elections, and was thought by many in the Party to have been instrumental in their defeat. However, once elected as Labour’s new leader, Jacinda Ardern promoted it as a point of difference. But the policy was marred by confusion over what assets would be subjected to the tax, and it was heavily criticised for its vagueness. Labour’s leader compounded the problem by saying that a working group would be established after the election to work out the details of the tax. But promising to introduce a controversial new capital gains tax, without full details being available before the election – and therefore without a public mandate – met with protest. Critics argued that Labour should be up-front about the finer points of their proposed tax policy, and as a result, their position again changed. This time, a Tax Working Group was to be established to undertake a comprehensive review of the whole tax system – including the option of introducing a capital gains tax that did not target the family home nor the land under it. Any recommendations for change were to be presented for a mandate at the 2020 election. Essentially, this means that tax will be a main focus of the next election campaign. We can therefore expect the Group’s recommendations to be highly political and designed to appeal to Labour’s voting base – to help them win the 2020 General Election. Like their proposed capital gains tax, Labour’s water tax also came under attack during the election campaign for a lack of detail. It too was kicked for touch – to be dealt with by the Tax Working Group after the election. Adding to that controversy was the fact that a water tax would invariably trigger a massive Treaty of Waitangi claim, saddling New Zealand’s long-suffering taxpayers with yet another tribal gravy train. However, the proposed water tax is now off the table – dropped during coalition negotiations with New Zealand First – as are a number of other tax issues that are being dealt with separately, including taxing multinational firms, levying international tourists, abolishing secondary tax, and reviewing Working for Families. New Zealand tax reviews have historically been established by Governments concerned that the increasing complexity of tax laws was leading to falling rates of compliance. As a result, any recommendations have usually been aimed at simplifying and flattening the tax system. In other words, ensuring a broad-based, low-rate tax system has traditionally been the long-standing aim of tax reform. A broad tax base allows governments to raise substantial tax revenue with relatively low tax rates. Simpler tax systems with fewer exemptions reduce compliance costs and provide less opportunity for tax avoidance. Over the years, tax reviews have eliminated sales tax, excess retention tax, land tax, estate duty, stamp duty, gift duty and cheque duty; and they have rejected financial transaction taxes, wealth taxes, and capital gains taxes. While in 2012 – as a result of the recession and the global financial crisis – government spending was 32 percent of GDP, this year the forecast is 28.5 percent, and by 2022, it was to have reduced to 27.6 percent. National’s long-term goal was to reign in government spending to 25 percent of GDP, which is said to be the optimal size of government to create a high performing economy. Labour’s long-term goal is increased spending. So while real tax experts have long agreed that a good tax system should be simple, with a broad base and as few exemptions and incentives as possible, Dr Cullen wants the system to become more redistributive, business taxes to become progressive, Maori to be given further tax breaks, and he wants to see a raft of new taxes introduced, including environmental taxes and taxes designed to change people’s behaviour. While you might look at all this and say that under the circumstances making a submission is a waste of time, you should not underestimate the importance of resistance. If opponents do nothing, then the radical voices of social justice advocates – many of whom are net beneficiaries of the tax system – will prevail, and we could end up with the Working Group recommending not only the capital gains tax, but any of a number of other taxes including wealth taxes, a land tax, a transaction tax, death duties, gift duties, stamp duties, a congestion tax, a carbon tax, and a sugar tax. 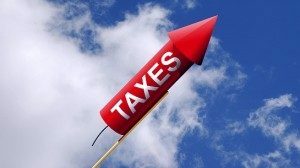 What’s worse is that such taxes would invariably start off at extremely low rates in order to win acceptance at the next election – only to be ramped up in the future. In other words, a new land tax might start off at a rate of only 0.1 percent, but soon end up costing as much as the household rates bill. Or once a capital gains tax is in place – even if it excludes the family home and land beneath it – all it would take is the simple removal of an exclusion from the statute, for a cash-strapped government to bring the family home into the net. Everyone who is concerned about the future of our economy should take the time to make a submission – even one as simple as pointing out the importance of lower and flatter taxes in incentivising wealth creation and lifting prosperity for all New Zealanders. That will help to ensure that the Working Group also hears the voice of reason. The deadline for submissions is Monday April 30. Submissions can be emailed to submissions@taxworkinggroup.govt.nz – full details are available HERE. Making homes more affordable by using the tax system to make investment in rental property less attractive. “What is striking about the report is how it is turning to tax policy to address social issues. It’s like Karl Marx has gone to the pantry and found a new box of cereal called ‘Tax’. But the Minister is deliberately misrepresenting the truth. Under the current law, a capital gains tax on rental housing already exists and anyone buying a house purely to capture the gains of a rising property market will pay tax on the profit – if they are not captured by the five-year bright line test then they will be by the intention test. In particular, the working group has been asked to look at a capital gains tax and alternative ways of cooling the housing market, a progressive company tax, environmental taxes, and other measures such as taking GST off fruit and vegetables and women’s sanitary products, requiring overseas retailers to collect GST on goods bought by New Zealanders, and taxing the assets held in savings schemes such as KiwiSaver. One final comment – just as the tribal elite convinced National to make advantageous policy changes, such as introducing co-governance arrangements at central and local government level, and funding tribal groups to claim New Zealand’s entire coastline, they now appear to have convinced Labour to give them yet more tax favours. It was Michael Cullen’s Labour Government that not only introduced the discounted Maori Authority business tax rate (now 17.5 percent), but also changed the law to enable billion-dollar tribal corporations to register as charities and avoid paying tax. But instead of signalling that this anomaly – which gives wealthy Maori businesses a significant competitive advantage – will be rectified, by requiring corporate profits not used for charitable purposes to be taxed at the normal rate, it appears that additional tax benefits and exemptions are being planned. This will further entrench racism in tax laws, instead of eliminating it. Don’t forget to have your say, by sending in a submission to the tax review by April 30! Do you believe the tax base should be broadened to include a capital gains tax that excludes the family home? I certainly don’t agree with a capital gainstax. We should be all paying less tax now and would be have been so except for Winston Peters.